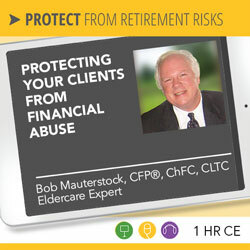 Elder financial abuse is a growing problem creating annual losses to families estimated to exceed $2.9 Billion per year. As retiring boomers become part of this population the problem is expected to increase dramatically. 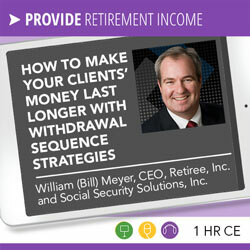 How you “tap” or liquidate retirement savings to generate income impacts portfolio longevity. Similarly, how you coordinate guaranteed income, Medicare and Social Security with the sequence you withdraw client savings impacts how long retirement savings lasts. Providing comprehensive retirement income planning services helps separate your practice from the pack, keep clients for life, and get them through retirement securely. The Retirement Resource Center brings you high-quality retirement education programs by leading experts to help advisors, consumers and employees make informed retirement decisions. Thank you for visiting the Retirement Resource Center! 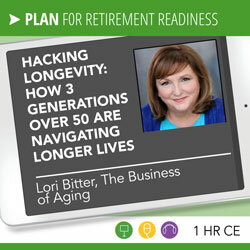 As an independent, retirement education resource, we strive to help consumers, employees, public sector retirement systems, advisors and wealth management firms learn how to create retirement security by aggregating and making easily accessible the insights of dozens of today’s leading experts through over 60 live and on-demand webinars. As you visit our site, know that we “hand” select each speaker and topic with you in mind. 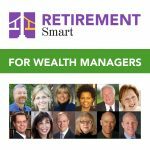 We personally vet each speaker based on today’s accepted retirement industry practices, so you receive conflict-free information that you can trust. 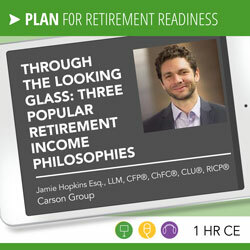 Courses are chosen to support our holistic, PLAN-PROTECT-PROVIDE approach to retirement and income planning. Our courses are also approved for professional development and continuing education credit by most financial and retirement designations, and we are a CFP Board Quality CE Partner. 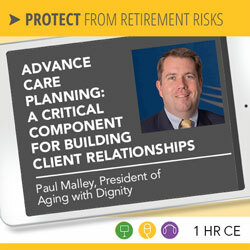 Many of our speakers address both consumers/employees and professionals which creates a common language and understanding between them for more productive retirement counseling. Bottom line: Our goal is to cost-effectively aggregate the insight and guidance of today’s leading experts for you through a portal of live, rebroadcast and on-demand webinars so consumers/employees can become prepared to work with advisors, and advisors can more effectively identify and serve the retirement planning needs of their clients. On behalf of our staff and speakers, we’re glad you found us, and we look forward to being of service! Sixty+ courses are offered for $29 each, and in cost-saving three-month ($99) and twelve-month ($199) continuing education (CE) subscriptions. A customizable group learning package to help firms be more competitive by helping up to 25 of your investment professionals, new hires and support staff add retirement planning to your menu of services. 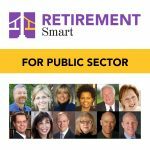 A customizable group learning package for public sector groups to help you better address the retirement decisions facing your members. 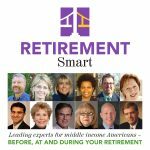 An eight-part, weekly broadcast webinar series to help America’s near and future retirees holistically make informed retirement decisions. Customizable, on-demand webinars for wealth management firms to deliver to your clients in a variety of methods, to help you expand the services you provide. 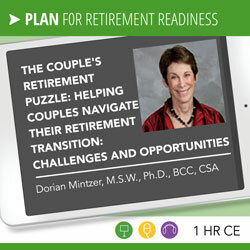 Customizable, on-demand webinars for employer-sponsored retirement plans to improve the retirement readiness of your employees. Growing up in a blue-collar family where Dad worked seven days a week and ultimately died in an industrial accident on a Sunday morning, I know the challenges the middle market faces in trying to save enough for retirement. 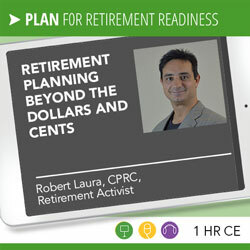 However, savings are only part of a secure retirement; key decisions such as when to retire, when to take Social Security, how to choose Medicare plans, whether or not to work part-time to phase into retirement, how to address medical and long-term care costs, whether or not to use home equity in a retirement income plan, how to take withdrawals from tax-deferred savings to minimize taxes and increase asset longevity, how to create additional lifetime income, etc. all affect how long retirement savings will last and one’s quality of retirement. Betty Meredith, CFA, CFP®, CRC®, has 30 years’ experience producing application-oriented professional development, content marketing, and consumer education to help advisors, consumers, public sector retirement counselors and plan participants/employees make informed retirement decisions. 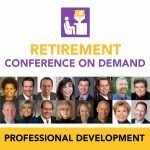 As a CFP Board CE Quality Provider, Betty and her team produce a monthly continuing education, “Retirement Conference on Demand” webinar series by today’s leading retirement experts for individual advisers and advisor groups, as well as other content marketing sponsorship programs.